Energy” is more than a word that Theresa Caldwell uses frequently; her very voice is infused with it, too. 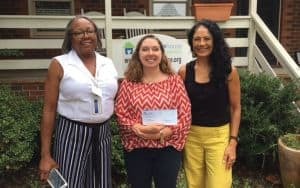 That same energy propels Caldwell in her work helping Petersburg youngsters and adults build healthier lifestyles and advocating for the overall wellness of her community. A longtime resident of Washington, D.C., Caldwell moved to Petersburg three years ago. “My family is here, so that’s a big part of what drew me south,” says Caldwell, whose brother is an area educator and sister-in-law is a pediatrician. After settling into the community, her long-held interest in fitness led her to a Sports Backers information session, where she learned of the Fitness Warriors program. Sports Backers, a 25-year-old nonprofit based in Richmond, runs several initiatives designed to help Central Virginia communities “live actively,” according to its website. 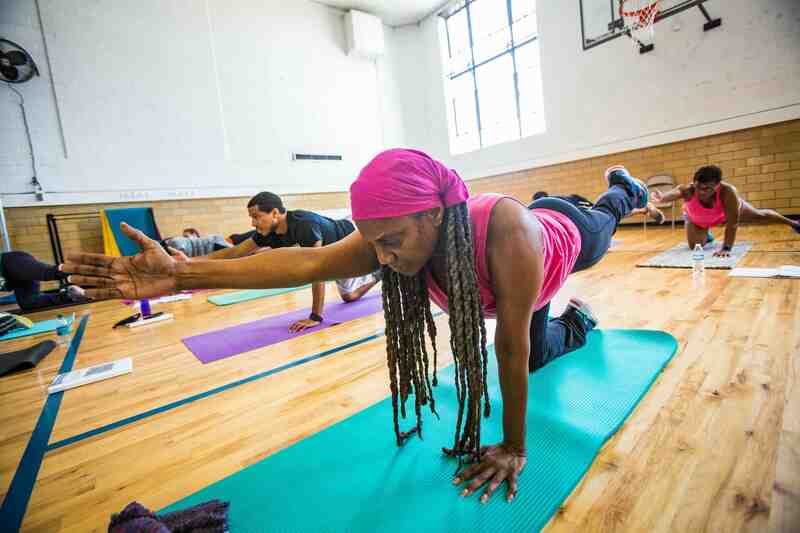 Fitness Warriors is among Sports Backers’ health-boosting, community-centered programming. Athletic events, such as Ukrop’s Monument Avenue 10k, round out the organization’s offerings. The 25,000-strong marathon had piqued Caldwell’s interest in her pre-Petersburg days. “I was one of the thousands of people who would come down and do [the Monument Avenue 10k],” she says. “My brother kept saying, ‘You should come, we can do it!’ I’ve done it four times now.” The race led her to learn more about Sports Backers’ once she moved to the area. 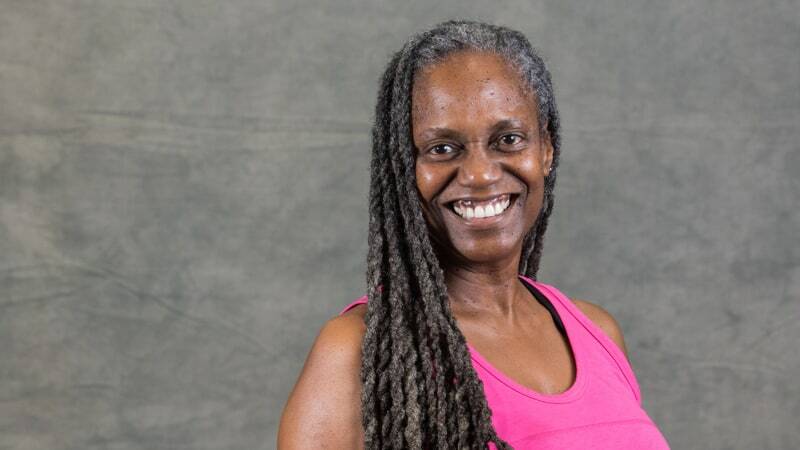 Caldwell applied and was accepted into the Fitness Warriors training program in 2016, a multi-month training that she describes as “rigorous.” According to Sports Backers, Fitness Warriors trainees are members of the communities the program serves; by the end of the course, Fitness Warriors are certified group exercise teachers. 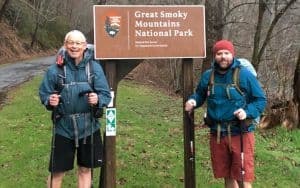 Many of the people in Caldwell’s class are seniors, “mostly retirees who are very active.” Fitness Warriors “inspires people to make wellness a priority [in] a way that’s accessible to everyone,” says Caldwell. Caldwell’s community leadership extends to her work with youth and families. She chairs the Petersburg Wellness Consortium (PWC) board, an umbrella organization founded in 2012 as a response to obesity in the community. United through the Consortium, representatives from various community groups research chronic disease, oral health and youth health and wellness in Petersburg and work together to create solutions. Caldwell says the PWC’s initiatives, like the Petersburg Million Mile Challenge, create pathways for residents to get moving. 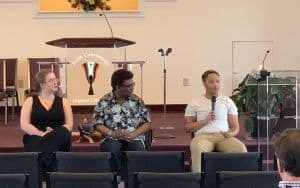 Last June, Caldwell co-organized the “Beyond ACEs: Building Community Resilience” summit, an event providing information sessions about adverse childhood experiences, which studies show may impact individuals long after childhood. Caldwell taught a workshop “teaching people how to respond to and heal from trauma in a healthy way.” The next ACEs summit is planned for 2019, she says. And hey! We’ve got an exclusive interview with Theresa Caldwell herself, plus fellow Fitness Warrior Jacki Quinlan, right here! Samantha Willis is an award-winning freelance journalist based in Richmond. She contributes to a variety of regional and national publications, including Richmond Magazine, Style Weekly, Virginia Living and Glamour. SamWillisWrites@gmail.com.